BOGOTA, Colombia -- The Colombian beauty queen who was briefly crowned Miss Universe is making the best of what she calls a humiliating situation. 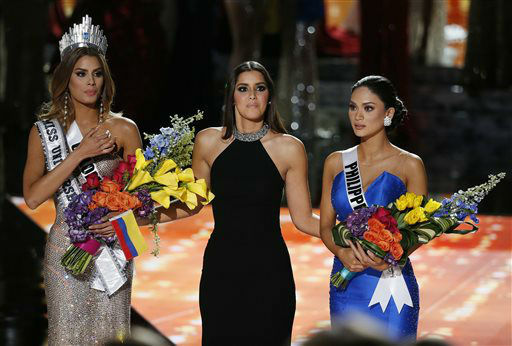 Ariadna Gutierrez told Colombia's W radio Wednesday that no one can take away the four minutes during which she wore the crown. 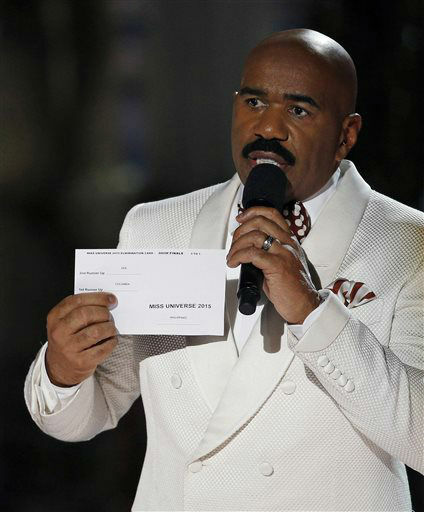 Gutierrez was accidentally named the winner in Las Vegas earlier this month after host Steve Harvey misread his cue cards. Harvey later announced the crown actually belonged to Miss Philippines. 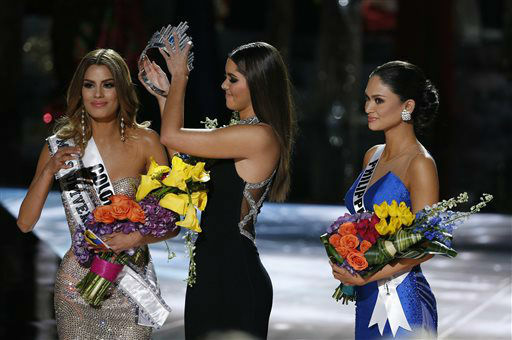 Miss Colombia says the awkward moment was humbling for her and other Latinos watching the competition. Gutierrez is now spinning the incident as a kind of triumph.